Like everything else in life, Family Groups can become a little tired occasionally for a variety of reasons - this all normal and reflects the way family works – God’s family is no different. 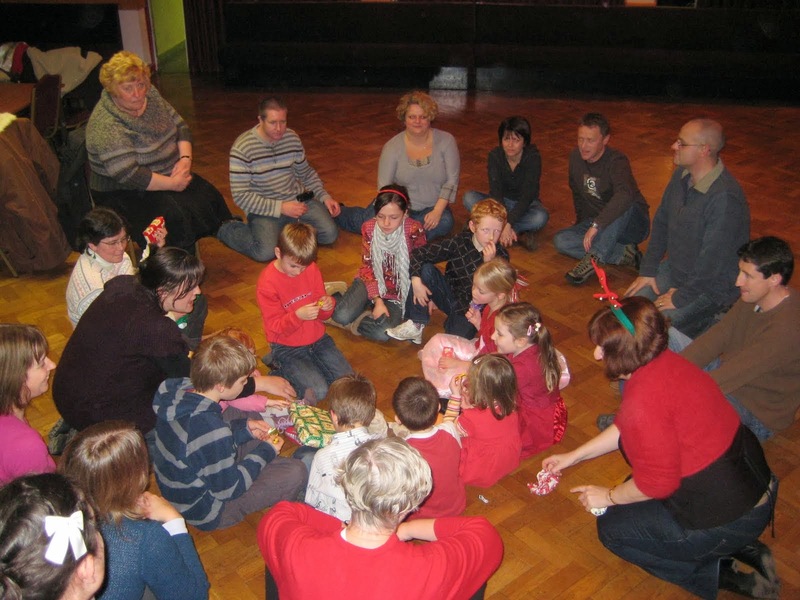 Here are some suggestions to help to revitalise your Family Group. For some different ideas, you could speak to members of other groups to find out what they’re up to. If you feel it necessary, you could ask for some help getting things back on track – other people are usually only too willing to help. If you have more than one Family Group in your parish, then see if another group is willing to combine an event with your group every now and again. This works well if your group has had a few events with low attendances or if there are dynamic issues within the group. When things don’t go to plan…. If something crops up on the day of your event, such as bad weather, it helps to have a very simple contingency plan in place, such as; picnic and games in the church hall etc. If fewer people attend events than planned – seek feedback from members and work on it for next time and share any issues with coordinators and leaders. 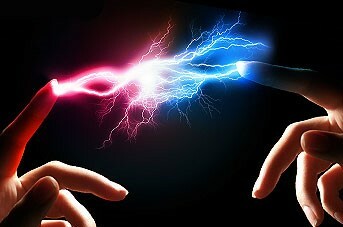 Social media can provide a variety of ideas and connect us in a way like never before. Facebook, Whatsapp, texting, emailing, phone calling etc. Messenger, for instance can be used to add a few members into a single conversation which is great for last minute conversations prior to an event. Members can use the internet to check out other Family Group websites in the UK or beyond to see what other family groups are planning and to get the ideas flowing. Go to new parents’ evenings to introduce Family Groups and hand out flyers. Keep the profile of Family Groups active in the school community and on occasion place a flyer on the school noticeboard or in book bags advertising Family Group activities that might appeal to parents and children. Advent, Christmas and New Year events/parties can also attract new members and encourage word of mouth from families already in a group. Communication between members is a vital link to what’s happening; texting, phone calls, Messenger, Whatsapp or email and keep in touch with members who have been absent from a few events or out of touch – this is a part of the Family Group values; keeping people under the Family Group wing. Regularly post updates in the parish bulletin and newsletters – including the local parish schools - little and often works well. Share any news with Family Group parishes nationally via the national Family Groups blog. Here is a calendar from one of our Family Group parishes to give you an idea of how some other groups plan and communicate. *Names and contacts details have been changed to protect people's privacy. Always remember, the real purpose of Family Groups is in bringing a sense of community to the parish, and a sense of parish to the community. 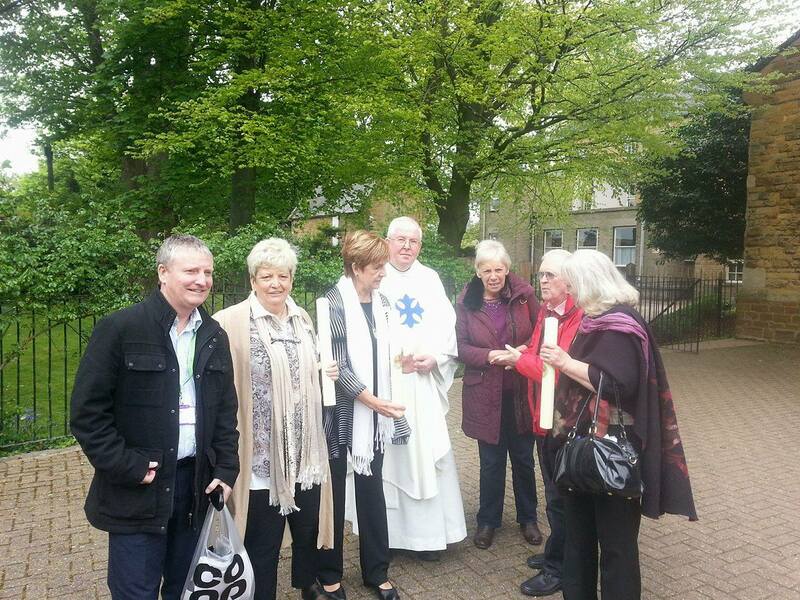 On Saturday 6th May 2017, 200 Family Group members and friends from England, Wales and Australia gathered in the Cathedral Church of Our Lady Immaculate & St Thomas of Canterbury, Northampton for the first national Thanksgiving Mass of the Family Group Movement in England & Wales. 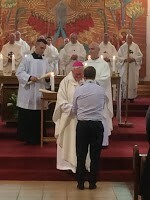 The Mass was concelebrated by Bishop Peter Doyle, Archbishop Peter Smith, Bishop Tom Williams, Bishop Patrick McKinney, Bishop Nicholas Hudson, Canon David Paul, Father Philip Glanfield, Fr Paul Standish, Canon Mark Floody and Fr Pat Munroe (Family Groups’ Chaplain). The Mass included a special candle commissioning for each of the Family Group parishes, and was followed by a wonderful, shared buffet lunch which gave people a chance to catch up with their fellow Family Group members from around the country. In the afternoon, people from some of the Family Groups gave some very interesting and poignant testimonies of what Family Groups have meant to them. Stuart Monteith, of Our Lady and the Apostles Parish, Stockport. members from the Family Groups in Our Lady's Parish, Stockport to Northampton Cathedral to help celebrate and witness the 1st National Family Group Mass. It was a lovely day. We were made very welcome by Bishop Peter Doyle and we all enjoyed a lovely occasion. 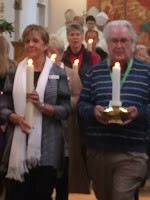 We were among one of nine parishes present from different parts of the country with Family Groups to take one of the special candles, that was lit from the Paschal Candle, back to our parish and be the light of Christ. 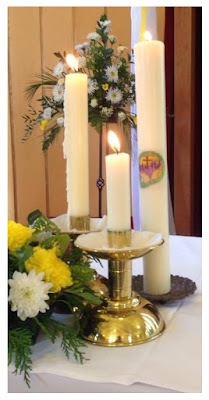 The candle is now placed near the Altar in our Church as a living reminder of Family Groups in our parish and the great difference they make in having a welcoming parish where there is room for everyone. Two of the younger families who went to Northampton shared their experience with the rest of the parish during Mass. It was very interesting hearing about the stories of other people from the different parishes. I remember one lady saying that you don't need to have a family to be in a Family Group as we are all members of one large family, the family of God. I think that stuck with me as after Mass on Sunday we go out to the Guild Room through the Garden Area, which we created together, for drinks and biscuits have a laugh and talk just like any family would, while the children have a place to play. It's been a few years since Fr Peter and Gwen came from Australia and helped set up our Family Groups; a small idea that has grown into something global. Since then we have set up four groups that have formed into our parish a loving community, turning faces into names, acquaintances into friends and giving love and support to one another in the light of Christ. One of our Groups is for older people, many of whom live on their own. 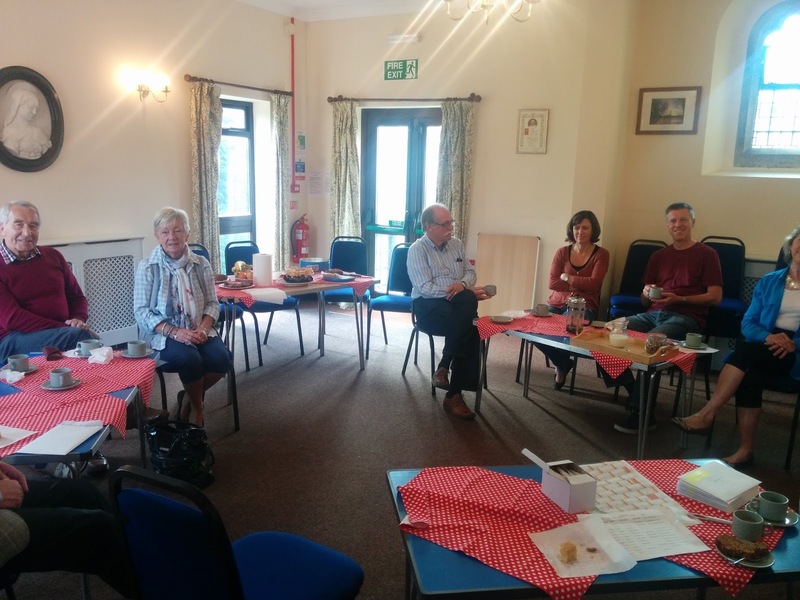 They meet in the Presbytery on the second Wednesday of the month; one special activity is raising funds for a parish in Peru and keeping in touch with their news. ‘What a wonderful warm welcome I received in attending the National Mass for Family Groups – so many nice people greeted me – not strangers, but friends linked by a common faith bond. 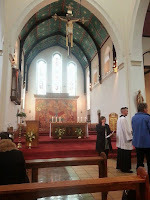 The Mass was beautiful and uplifting; Bishop Peter was so engaging inviting us all to pray together. What an amazing and uplifting experience. I personally felt the Holy Spirit amongst us all. If your parish has any Family Group news to share, please EMAIL the Editor with details and high-resolution photos if available. Contact the National Steering Group for Family Groups. Family Group Reflections from St Teresa’s Upholland Wigan. 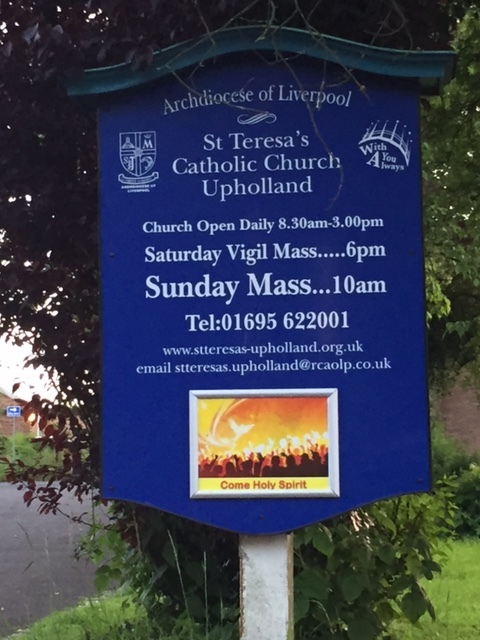 St Teresa’s Upholland is a parish in West Lancashire with a vision to look out into our community and beyond. St Teresa’s Focus Team, a lay team who support the parish priest, invited Maureen O’Brien, coordinator for Marriage and Family Life for Liverpool Archdiocese to one of our meetings to introduce Family Groups in January 2016. Maureen gave a short presentation, including the Family Group video. The seeds sown that evening fell on rich soil and the Focus Team invited Christine and Vince Joyce to discuss starting Family Groups in our Parish. Chris and Vince gave a great presentation to the Focus Team and plans were put in place to have a launch date in September 2016. Leading up to the launch, we held a cheese and wine evening to encourage Family Group leaders to come forward which was attended by 8 interested parties. Most people liked the idea of Family Groups, but were concerned about the time this would involve, however, after these concerns were addressed by Chris and Vince, we had a definite leader with two others interested. During the final weeks leading up to the September launch, we advertised Family Groups in the newsletter to provide a point of contact, provided fliers at the back of church and I attended a meeting at St Teresa’s Primary School for the parents of new starters to give a brief presentation and again more literature and found a lot of definite interest. During the weekend of the launch, Chris and Vince gave a presentation at our Saturday and Sunday Masses, showed the video and invited interested people to sign up. We received around seventy applications from a variety of parishioners. Interested people were split into a good mixture of three Family Groups to represent a family and the Family Groups and their leaders met within a couple of weeks to establish a name and to plan their activities, and other parishioners came forward after the initial launch to join. St Teresa’s Family Groups are: Amigos, Genesis & Shalom. 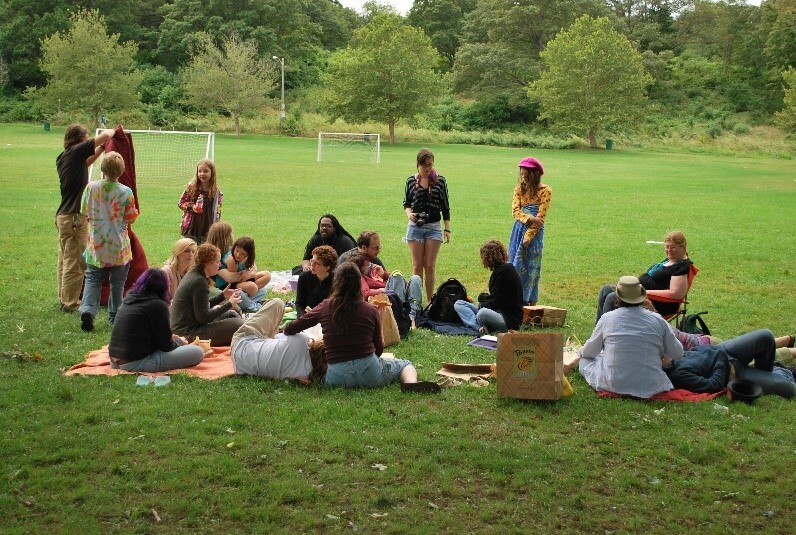 Each group has 20-25 members Groups meet monthly with a turn-out of between 10 to 25 people. We have placed a dedicated Family Group noticeboard at the back of church, and advertise in the Parish Newsletter to encourage new members to come along. We have a winter and a summer inter-Family Group activity, (Quiz and Rounders Match this year), which are always well attended. Leaders meet informally and agree that the initial enthusiasm for Family Groups at St Teresa’s has not faded. Our activities will be typical, but some of The leaders meet informally and all agree that the initial enthusiasm for Family Groups at St Teresa’s has not faded. Our activities will be typical, but some of the more unusual ones have been: High Ropes Activity Day, Barge Trip, and a Christmas Decoration Making Workshop. As St Teresa’s Family Group coordinator, I have thoroughly enjoyed helping to get Family Groups established in our parish. At times it has involved emailing and telephone calls, however, as the Family Groups are functioning independently, the task has not been too time-consuming. The highlight of my time as coordinator to date was the National Family Group Mass in Northampton that my wife, Margaret and I attended, in May this year. We received a warm welcome and were very pleased to see so many clergy involved and enthusiastic about Family Groups, which is wonderful as I truly believe having a supportive parish priest, as we have in Fr Philip Kehoe, is essential to the success of Family Groups. 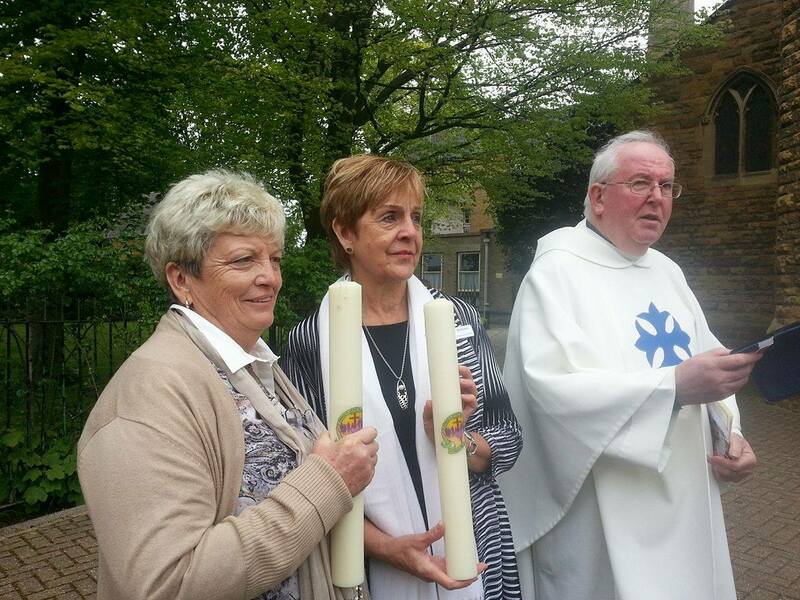 Recently, I presented the Family Group candle received from Bishop Peter Doyle at the National Mass, to our parish. Fr Philip also allowed me to give an annual update; encouraging a small crop of new members, and which I hope is a sign of things to come as St Teresa’s Family Groups go from strength to strength. 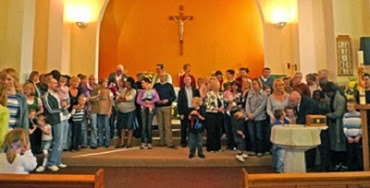 The Family Group Movement is a national steering group formed over three years ago; comprised of a team of volunteers drawn from Family Groups in parishes across England and Wales, along with two regional diocesan marriage and family life coordinators and a Chaplain who is a priest experienced in Family Group matters. 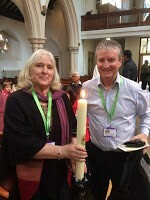 The Steering Group is led by joint chair - Chris and Vincent Joyce who have been involved for over ten years with Family Groups in their own parish St Michael and St Bernadette's Whitefield in the Diocese of Salford. 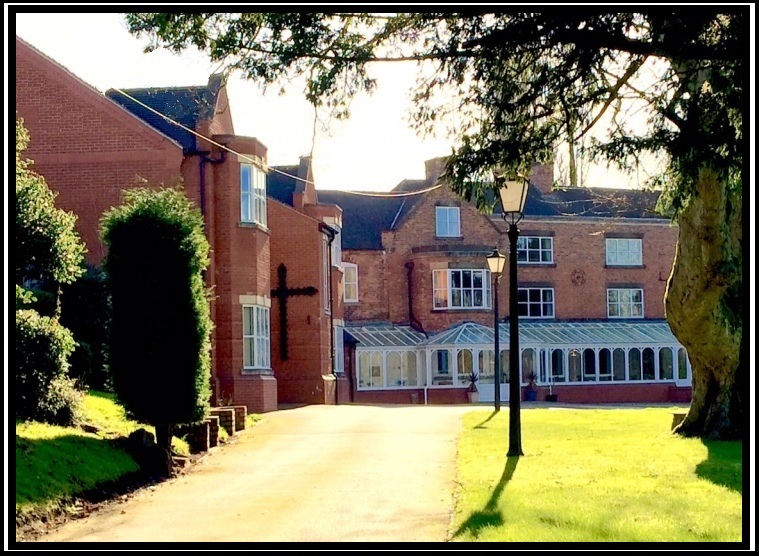 Steering Group members keep in regular contact over social media, convene via quarterly conference call and holds an annual residential event for all members. Our last residential was held in March, earlier this year at Oblate Retreat Centre, Wistaston Hall, Crewe. The main focus of recent discussion was preparation and plans for the National Mass. We also finalised new publicity material and revised our Constitution to ensure it remains fit for purpose. The Steering Group members all agreed to actively support our key objective of encouraging the growth of the movement during 2017/18 as interest grows from new parishes keen to establish family groups. If you think you may have the skills and interest to come on board as a member of the Steering Group we would love to hear from you on a no commitment basis. You would have to commit to attending three conference calls each year (held for one hour in the evening) and the annual residential event as well as supporting and contributing to the work and objectives of the Steering Group. For an informal chat please email us and one of the Steering Group will then contact you. The Steering Group for the Family Group Movement in England and Wales continue to meet quarterly and consider a range matters in relation to the strategic vision and growth of Family Groups across England and Wales. Lord, your Son Jesus taught us to give the gift that can’t be bought or sold, the gift of love. Fill our hearts with your love and help us to share these gifts with others today and every day. Help us to welcome others as our family, reminding us that we are all God’s family. 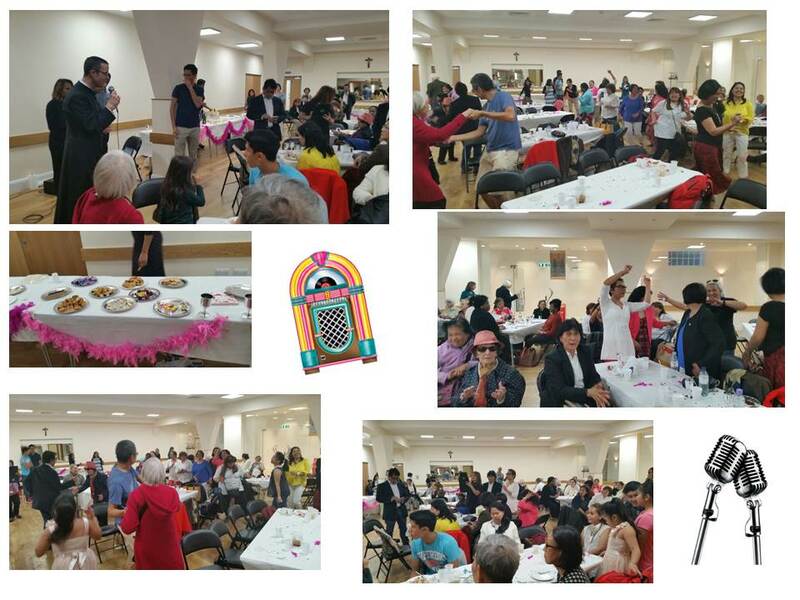 Congratulations to St Michael's and St Bernadette's Family Groups who celebrated their 9th Birthday late in 2016. 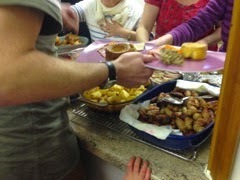 A celebration Sunday lunch was arranged in the parish centre and 100 people attended. After lunch the Friends of St Bernadette's School Choir provided entertainment with a medley of songs from Les Miserables. 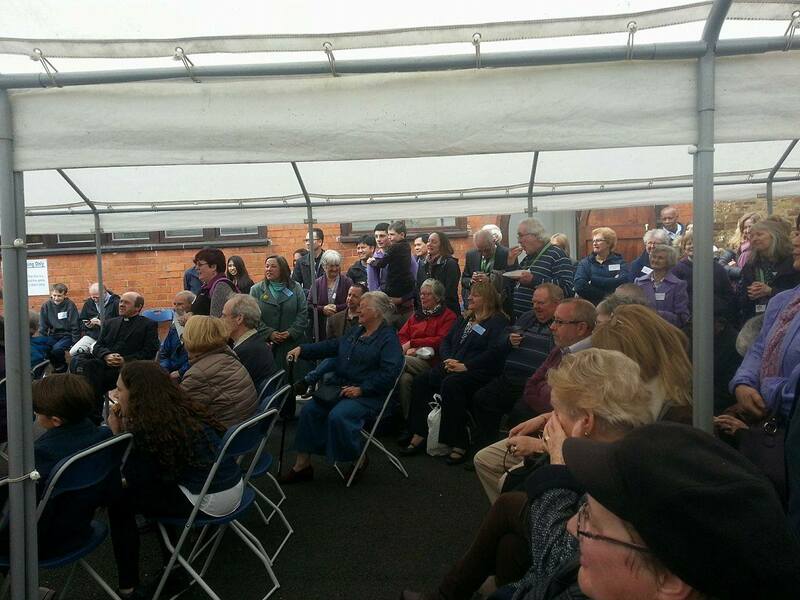 Everyone sang a resounding "happy birthday" and enjoyed coffee and birthday cake; a lovely family celebration! 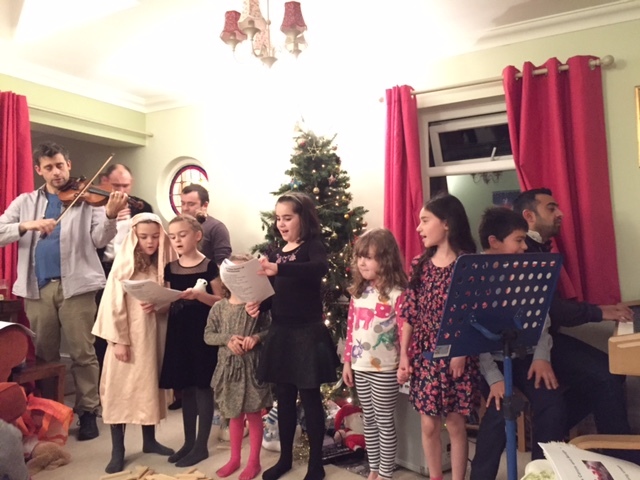 The Family Groups in the parish are still going strong with new members joining regularly. Here's looking forward to the next 9 years ! 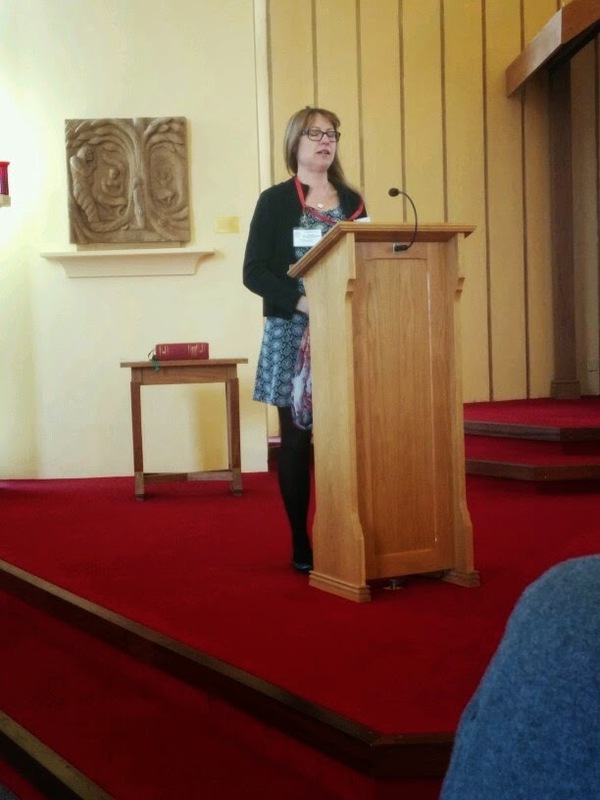 Initial interest in Family Groups started at St Teresa's when a member of the parish Focus Team attended a workshop at Proclaim '15 on developing Family Friendly Parishes. The idea was discussed in the parish and the Focus Team then invited Chris and Vince Joyce (Co Chair of the National Steering Group England & Wales) to share their experience of leading Family Groups in their own Parish, St Michael & Bernadette's, in Whitefield (Salford Diocese) where the initiative has been working successfully for nearly ten years. 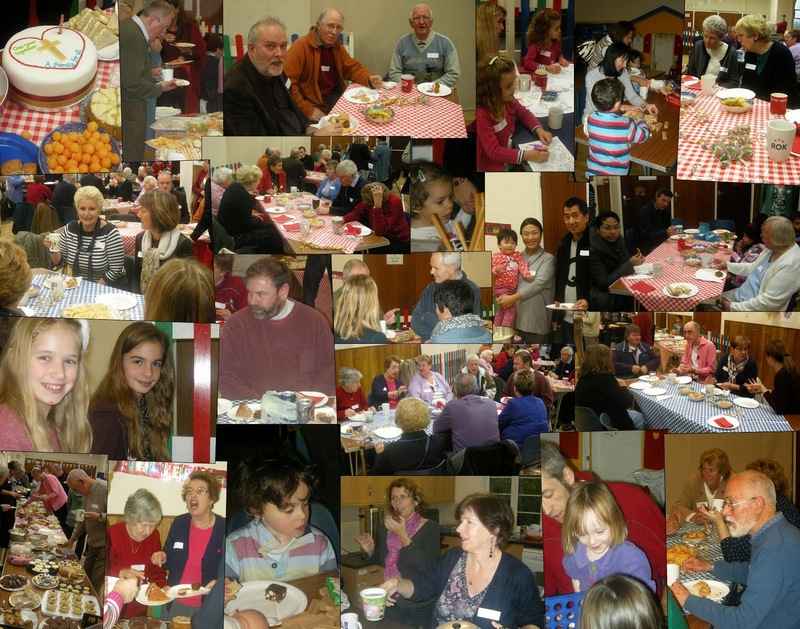 The parish was keen to get the 'grass roots' perspective and to learn first hand how Family Groups could enhance the life of a parish. The Focus Team were given plenty of support from Chris and Vince and tremendous encouragement from their Parish Priest, Fr Philip Kehoe, as they worked towards a September launch. A Coordinator Team (Bernard and Margaret ) were appointed. They produced articles for the School and Church newsletters and spoke at a meeting for new parents of Reception intake pupils - inviting them all to join in with this exciting new parish initiative. 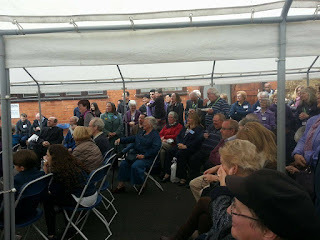 A fantastic launch weekend followed at the end of September, supported by Chris and Vince and National Steering Group member, Maureen O'Brien. 90 applications were received and 3 groups were formed immediately. 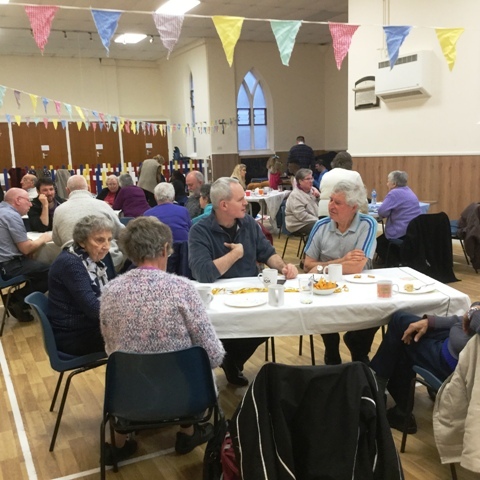 Some of those who signed up were able to return to the parish hall on the Sunday afternoon to meet their groups and arrange their first meeting. 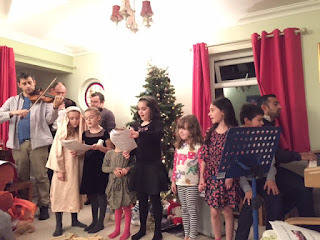 At the celebrations to mark St Teresa's Feast Day, the following weekend, four more families signed up and were absorbed into the existing groups. At the time of writing all groups have held their first meeting and drawn up a programme of events for the coming months. 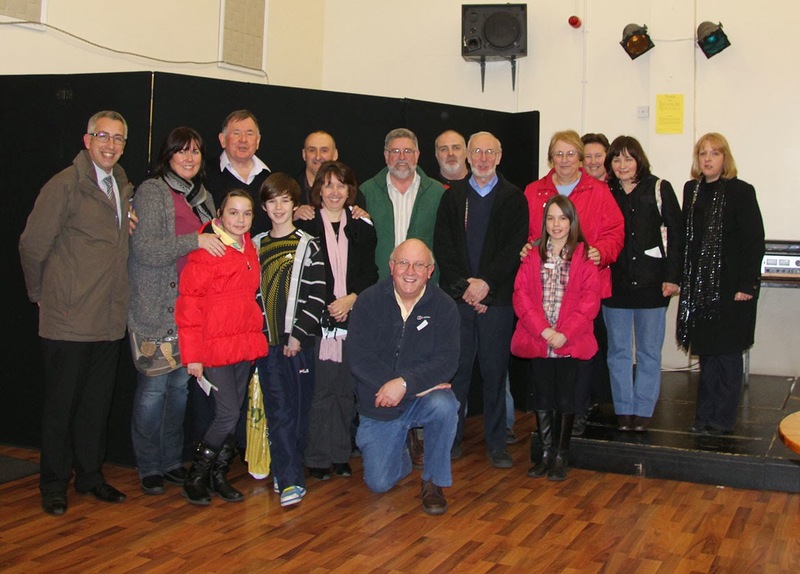 There is a real buzz and excitement in the parish as the leader teams work together to build solid foundations and to get Family Groups firmly established in the parish. We wish them every success! 'It was a miserably cold January Saturday afternoon and Ipswich Town FC were playing at home in the 3rd round of the Cup. 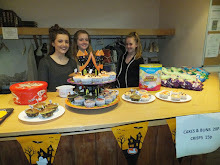 Despite this, over 40 people turned up in our Parish hall to celebrate our 3rd year in existence. A beaming Fr John welcomed representatives from all our Groups and from both churches in the parish and introduced our two new co-ordinators, Angie & Caroline who had organised the festivities. The tables heaved with food, as usual, and though there was bunting and balloons galore, it was more in the nature of a lively chat & catch up, than a wild party. A young mother and her two children came, for the first time “just to see” but signed up before they left as did an elderly lady who enjoyed herself so much that she declared “I might as well join up now!” Nearly a dozen nationalities (from 4-92 years) mingled happily for the afternoon between pizzas and Chocolate Brownies and vowed to start the New Year diet “tomorrow”. It has been 12 months of hard work and fun for the Family Groups in Our Lady of Victories Parish, Kensington. They have raised awareness and funds for local charities including Nazareth House and have provided fellow parishioners with a packed programme of events: a pamper evening, cupcakes and Pimms in June, a Curry & Quiz Night in July and a very well attended 1940’s/1950’s Sing-along and Champagne Brunch in September. On 14th November the Family Groups will be hosting their popular annual Dinner and Dance Auction Evening. Parish Coordinator Glenda Clarke told us that tickets are selling quickly, local businesses and supermarkets have donated gifts and there will be plenty of youthful hands on deck as the Post Confirmation Group have agreed to help in the kitchen. The last event of 2015 is another well established tradition in the parish - the annual Christmas Hamper creation day, on Sunday 6th December. We wish the parish and the Family Groups leadership team the very best for these events and for the coming year. If your parish has any Family Group news that you would like to share on this blog, or other queries, please EMAIL the editor with the details and high resolution photos, if available. 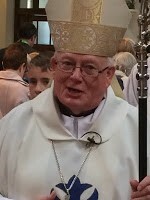 Family Groups were launched in the Parish of St Mary's, Crowborough, in the Diocese of Arundel and Brighton at the end of June 2015. One of the newly formed groups met for the first time on Saturday 3rd October and shared fresh coffee and home-made cakes and chatted and got to know each other better. They also arranged their next meetings which will be a walk in the woods (weather permitting) after Sunday morning Mass in November and an evening of board games in January. In December all the groups will be getting together for a Christmas social hosted by St Mary’s Parish Family Groups but open to everyone. For more information please contact St Mary's Parish Priest Fr Kevin Griffin on 01892 654608. May gatherings at St John Vianney Parish, Northwich and St Mary's Parish, Ipswich provided the perfect setting for filming a new DVD for the Family Group Movement in England and Wales. The crew spent a day in each parish conducting filming interviews with pastors, parish coordinators and group leaders and then captured the simple beauty of the Family Groups 'in action.' The gathering in Northwich, organised by parish coordinator, Dave Allen, started with a bluebell walk in Marbury Park, followed by board games and a shared supper in the parish hall. Family Groups Chaplain, Fr Pat Munroe, and parish coordinator Hazel Dove joined the gathering along with a group from Our Lady and the Apostles Parish, Stockport. Chris and Vince Joyce, from St Michael's and St Bernadette's parish, Whitefield also attended the event and told us afterwards, "the atmosphere was lovely and it was really good to be there." The DVD will be shown to diocesan leaders at the Proclaim '15 National Evangelisation Event in July and then form part of a resource pack to support the growth and development of Family Groups in England and Wales. 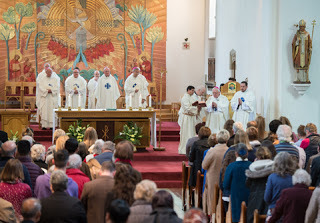 The Archdiocese of Cardiff has Family Groups in two of its parishes and these groups form an integral part of parish life. A grant from the bishops' Celebrating Family Fund is now enabling the Family Life Commission to build on this foundation in 2015-16. Family Life Worker, Joanne White, co-hosted an awareness raising day for Family Groups in Caerphilly on Saturday 21st March where the groups welcomed people from across the Archdiocese and further afield to share their experiences of building and sustaining Family Groups. 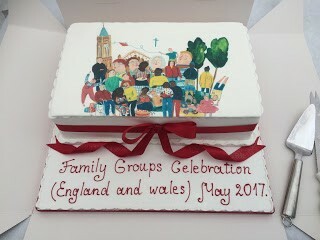 In September 2014 the Diocese of Arundel and Brighton was awarded funding through the Celebrating Family Fund to pilot Family Groups in the Diocese and research their impact on parish life. Kat Pond joined the Diocese's Pastoral Team in January 2015 as the Parish Family Groups Project Officer and has visited and introduced the concept to several parishes. The first launches will take place later this year. 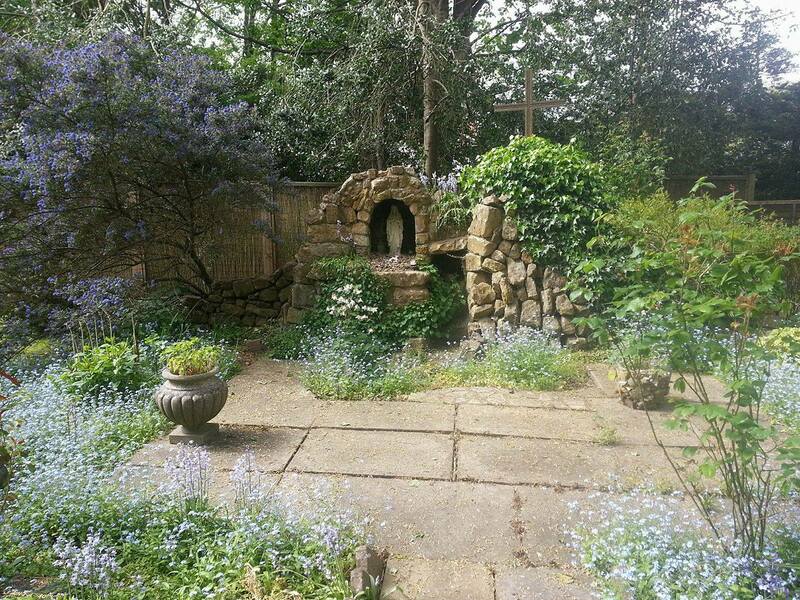 Members of the Steering Group will help to deliver a workshop with the MFL Project Office's Elizabeth Davies, on developing welcoming, family friendly parish communities at the Proclaim '15 National Evangelisation Initiative on 11th July 2015. 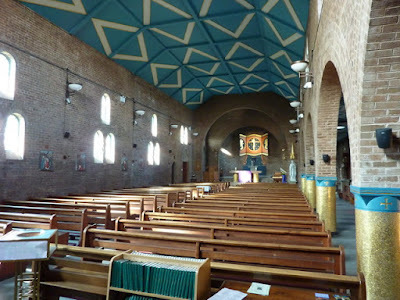 For enquiries to the Steering Group or if your parish has any Family Group news that you would like to share on this blog please contact Hannah Moruzzi. Please click for locations and contact details of Family Groups in England & Wales. 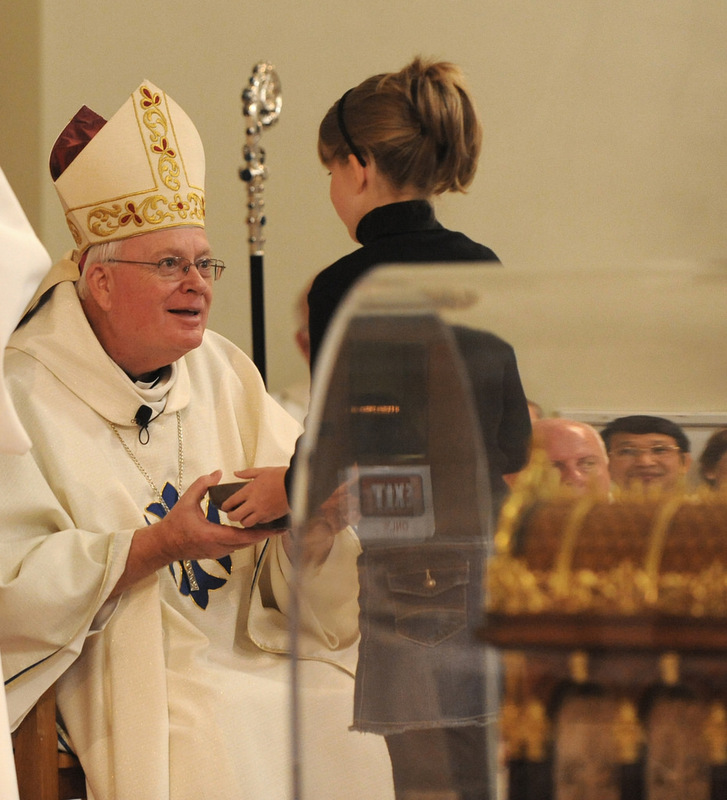 Parish Family Groups were first introduced to the UK by Fr Peter McGrath, founder of the Passionist Family Group Movement. Today a National Steering Group of volunteer Family Group leaders is helping to build the network in England and Wales and accompanying other parishes as they pilot and grow Family Groups in their own communities.